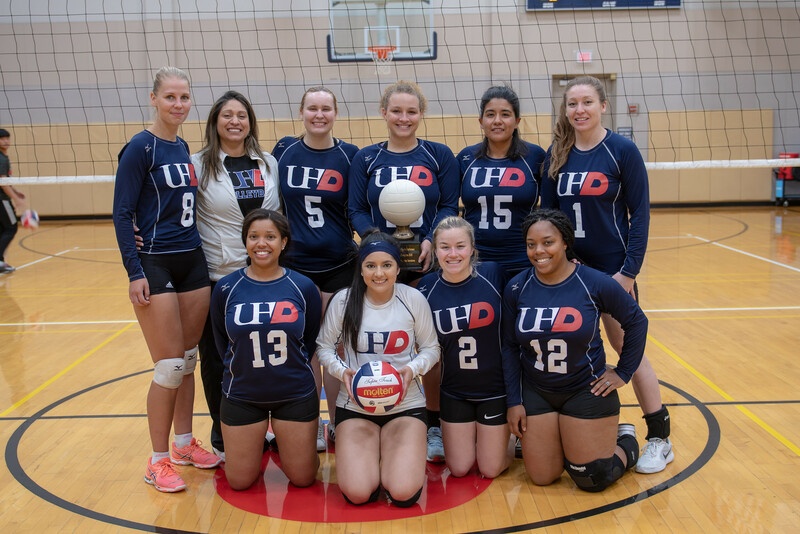 For the second consecutive season, the UHD women's volleyball club team captured the Houston Club Sports Conference (HCSC) title—the team's fourth HCSC title and seventh overall conference championship and the third conference title in the last four years for women's volleyball. This season concluded with the team finishing undefeated at 9-0 along with an undefeated set record of 24-0. UHD's Heta Rissanen was named HCSC Tournament MVP following the team's championship run on Saturday afternoon in the Student Life Center. Heta is the second consecutive UHD women's volleyball player to be named Tournament MVP and the third UHD student in the last four years to earn this distinguished honor (Carissa Moran 2015, Raven Robertson 2017). UHD's Raven Robertson was also named to the HCSC All-Tournament First Team. Volleyball tryouts for the fall 2018 season will begin in August.